Droughts, storms, floods- Time to Act! Winter in the Australian eastern seaboard and in Tasmania in 2016 has lurched from a long-standing drought in some areas, to massive floods in a number of places. Whilst we can make no direct link from these events to climate change , we know that climate change will make these events more likely to occur in the future. At the same time, news of the death of large areas of the Great Barrier Reef corals has emerged. In the midst of all this the concern about climate change and the way we are changing the earth’s biosphere is of concern to some, but decision makers in our community are still giving permits to new coal mines and oil wells. This report describes about what would happen if we burn all the fossil fuels. 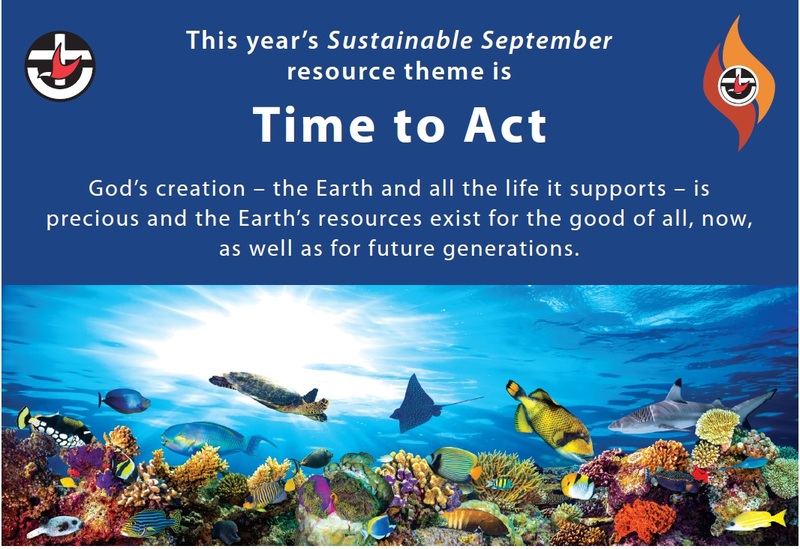 The Sustainable September 2016 resource theme is “Time to Act“. We are being told by climate scientists that the window in which we can drastically reduce carbon emissions in order to prevent the very worst impacts -especially on the most vulnerable people in the world -who live in the Pacific and Asia for example. Click this link to see just how urgent the situation has become. Our resource will provide liturgical resources for every Sunday in September. This year we will also include a bonus liturgy for a Blessing of the Animals service, which is often conducted on the Sunday nearest to St Francis of Assisi Day which is October 4. We expect that the resource will be uploaded on 1 August 1016. We hope that your Church will be planning now to use these resources! Could you help collect signatures for our climate petition? Building Blocks for peace -address gender inequality, take action on climate justice, seek nuclear disarmament.